The Marine and Coastal Area (Takutai Moana) Act 2011 recognises customary marine title exercised by Māori in common marine and coastal areas. This title is derived from common law recognition of indigenous property rights. Whānau, hapū and iwi must apply to the courts or negotiate directly with the Crown for legal recognition of this title. 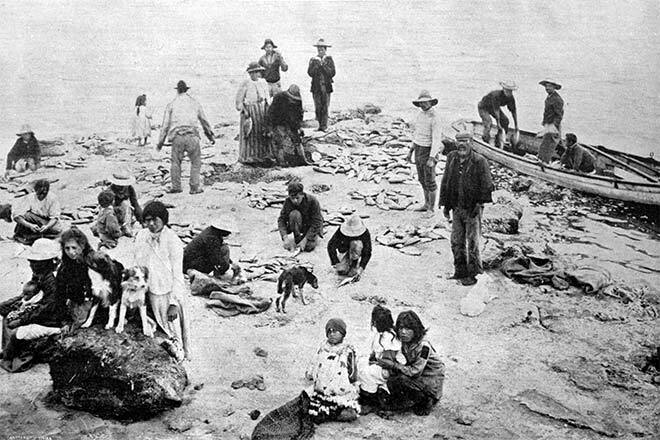 Applicants have to demonstrate continuous use and occupation of an area since 1840 – the kind of activity recorded in this 1907 photo, taken at Pārengarenga, Northland.